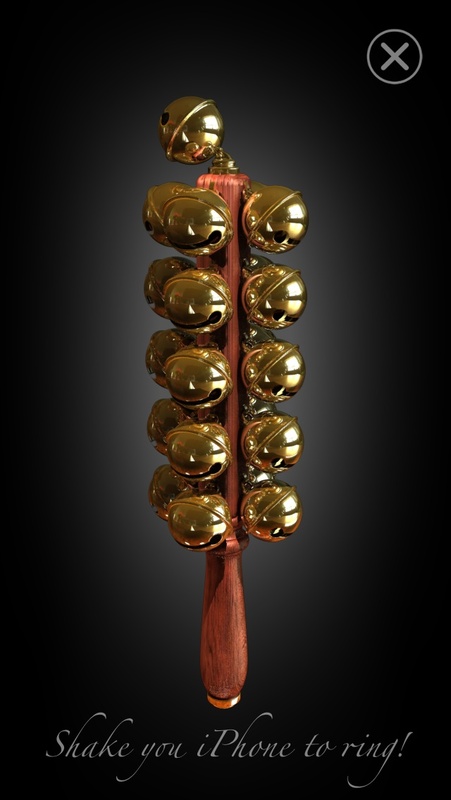 XmasBell - Raise the bell! Make it ring with smooth swing! 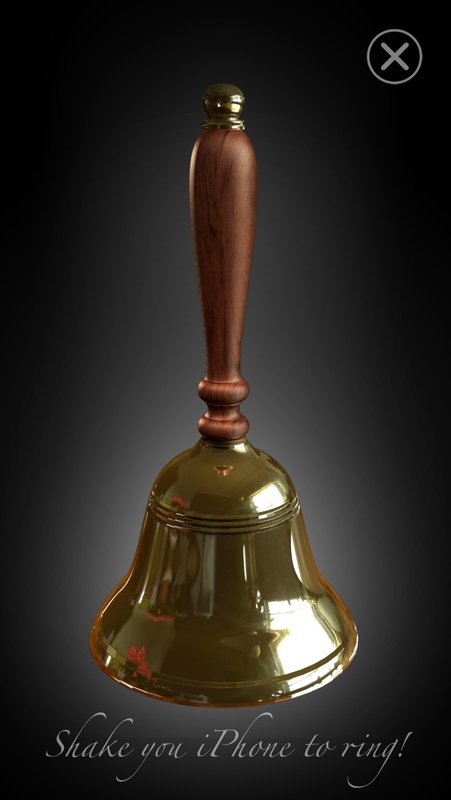 Xmas Bell helps get you right into the Christmas mood! Look forward to Christmas with your children, when the bells will ring for gift giving. Compatible with iPhone and iPod touch. Requires iPhone OS 8.0 or later. 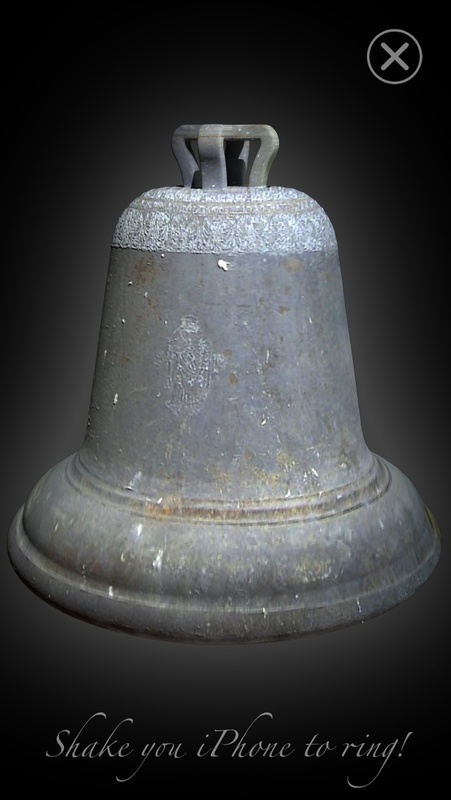 Choose one of three different bells (tiny bell, hand bell or church bell) and make it ring with a smooth swing. It works with the iPhone and Ipod touch. But there is more. 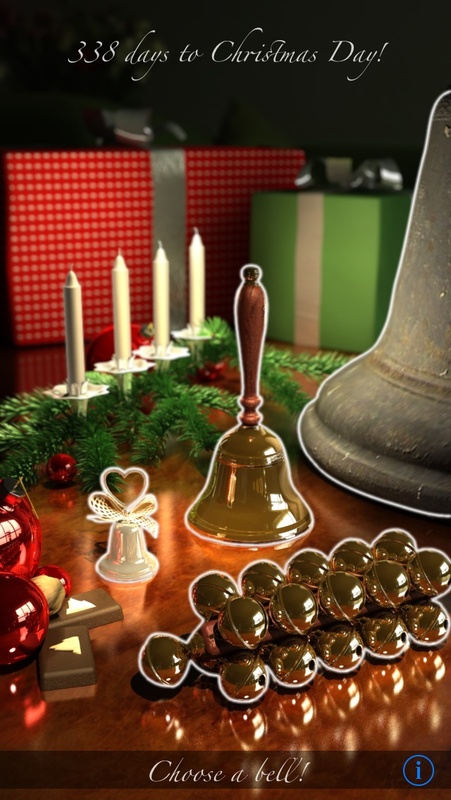 Not only do you have three different bell tones, there is a Christmas countdown, as well as an Advent wreathe with candles. 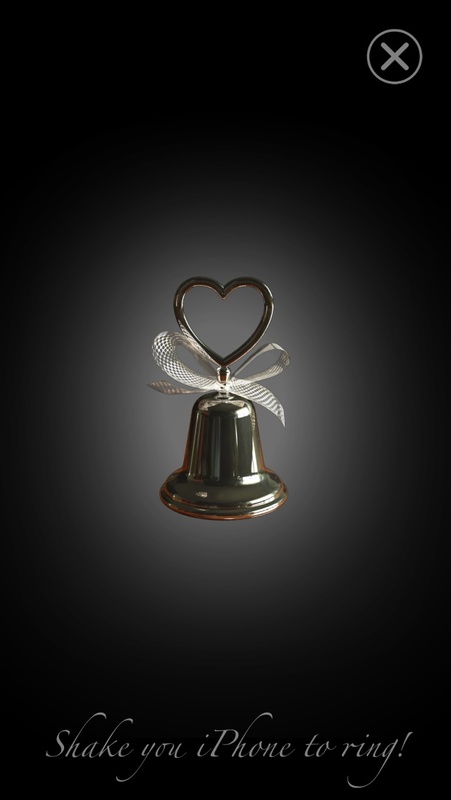 If you are wondering how many days there are until Christmas, ask Xmas Bell! 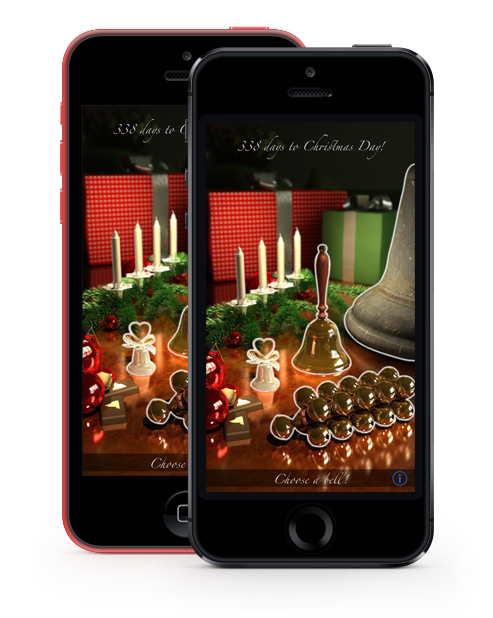 Activate the Christmas countdown and you will be able to see the remaining days until Christmas every time you have a look at Xmas Bell. 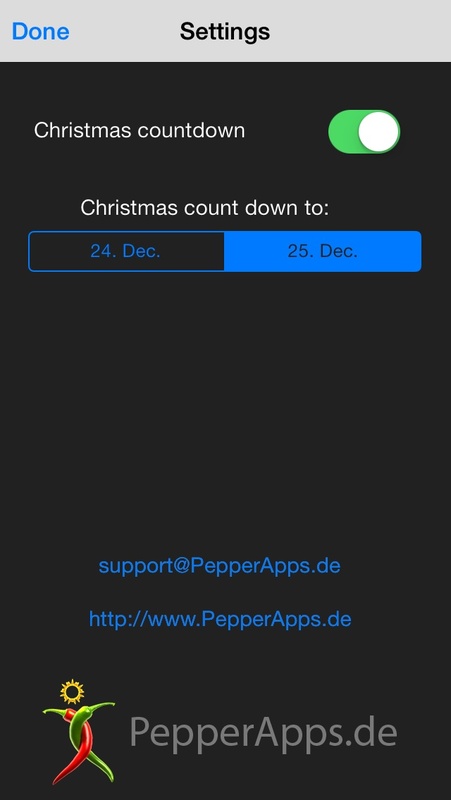 You can choose the date of gift giving between the 24th or 25th of December. 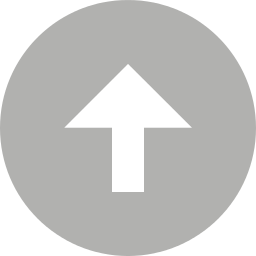 If you have a problem with the application or some suggestions for improvements, please don´t hesitate to inform us.